Home→PiWire→Would you like a slice of π? 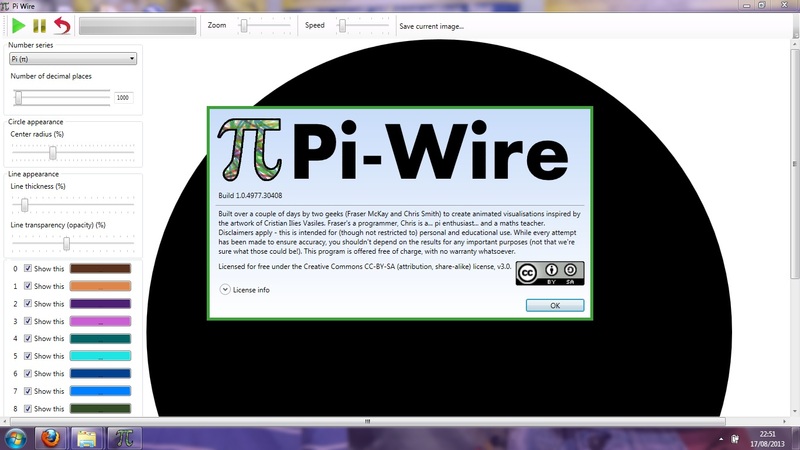 This is a screen shot from the brand new, freely available Pi-Wire program. You pick the constant you want to experiment with (I suggest using the preset one: π), the number of decimal places, the colours, the thickness of lines, the speed… Enjoy!